Welcome to the inaugural release of KiXforms.NET. Kixforms.NET contains a wealth of resources designed to help you build powerful scripts based on Microsoft's .NET Framework technology. Jooel Nieminen (our very own Lonkero) co-developed some of the classes in KiXforms.NET. The Math library and most of the File object and Streamers were developed by Jooel. From what I understand, Jooel is currently developing more goodies - to be found in a future release. -1 How about an option in the menu bar to set the kix executable file locations (maybe in tools menu some kind of options or preferences option or something)? -2 Don’t know if its easy to build or not but is it possible to add functionality to remove a control by clicking on it and just hitting the delete key on the keyboard? -3 Is there a chance to get line numbering in the code view? Got some kind of error once when clicking on the new project button and pressing cancel when asked to save the current project. Can’t seem to reproduce it now anymore, hmmmm.......weird maybe something fubared on my comp don’t know. Will let you know if it comes up again. 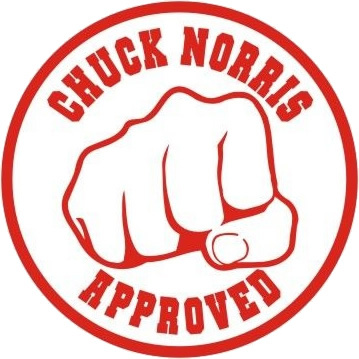 - Chuck Norris once sold ebay to ebay on ebay. so that nobody misunderstands (like I did in the beginning), marts suggestions are not about KiXforms .net but about Kixforms Designer functionality. Sorry, failed to mention this. The comments/suggestions are indeed about the designer. BTW: Not just to shawn but also to you lonk for co-developing this. well, thanks to shawn for letting me. now, "kixtart binary" (the com dll) package is finally history and the functionality is pretty much in the kixforms.net package now. ah sweet thing is that KF .net (aka 3) and KF2 can co-exist in same system. so you can keep on using the standard while developing new stuff for the future. Think he's saying that the current KF dll can coexist with the new KF.NET dll. So the current KF scripts can continue to run when developing new KF.NET scripts. It will still need kix (the developer screamed for wkix here cause I don't have it on my comp for now). Obviously you must have missed the credits. KiXforms Designer was written by Dale G. (benny69) - an Information Technology Specialist from Lincoln, Ne. Give a man a fish and he will be back for more. Slap him with a fish and he will go away forever. Yeah, I know but maybe Shawn can have a chat with him about some suggetsions. KiXforms.NET uses a completely different namespace than Kixforms (Kixforms.System versus Kixtart.System) ... I have been running both on my system for quite some time - have seen no impacts using both at same time. Dale G (benny69) wrote Kixforms Designer. He wrote it in Kixtart using KiXforms.NET and packaged the whole thing with iTripoli AdminScript Editor. Dale has setup a thread on Kixforms.Org to do with KiXforms Designer changes. Maybe you could post into that forum. He does have an ID at korg as well. By the way - I worked closely with Stevie B. (the developer of AdminScript Editor) during the past few months. It was just a coincidence that Steve was also working on the next generation of ASE. Together we worked-out a few issues around "script-sense" (intellisense) to do with COM objects and KF.NET specifically. I developed almost all of my test scripts using ASE. At the end of day, AdminScript Editor has amazing support for KF.NET - it has the look and feel of Microsoft's Visual Studio Integrated Development environment! Not sure about when the next version of AdminScript editor will be released. But definitely worth a look. I feld like a litle boy with a new toy today have been playing (not working). Has anybody tried loading the "Hidden Settings.kfd" into Kixforms Designer .NET - Its located in your My Documents - under "Kixforms Designer" ... its a hoot when you really look at what the form is saying (its doing). Thanks much as usual for all the time and effort put into this cool KiXtart utility. Since you're on the cutting/bleeding edge with this, take a peek at this article for the upcoming Vista. Well all I can say is HOLY MOLY Benny has way too much free time. That is an amazing amount of work on the KiXform.NET Designer. Good looking GUI and just overall amazing. Wish one of my forms was half as good as this looks. Benny must be from Europe, Americans can't have that much free time away from the significant other without the words SPLIT/DIVORCE coming into play. GREAT WORK Benny on KiXforms.NET Designer, my hats off to you. afaik, everything that's the man's is split. and everything that's the woman's, is hers. if that is same as half of everything, k.
$Benny = $Benny - $ChildSupport - $House - $Car - $LawyerFees - $Etc. Edit - but I'm not bitter. It has to be said KiXforms Designer (and KiXforms of course) is absolutely brilliant! I don't know how can we thank you guys enough for the time you have spent developing this! 1. I used KiXforms Designer and added a ListView control. After adding this control I was unable to drag and resize it. I've closed and reopened KiXforms and I get the same problem! 2. I am unable to find a Progress Bar Control. Is it likely that such a control will be added in the future? Q. I used KiXforms Designer and added a ListView control. After adding this control I was unable to drag and resize it. I've closed and reopened KiXforms and I get the same problem! A. Need to right-click then select "move/resize..." context menuitem. This changes the listview into a "token". Then you can move/resize this "token" to whereever, then change it back to a listview when done. The reason we do this is because the mouse-moving characteristics of the list-view (and some other controls) doesn't like it when one tries to "design" and "use" a control at the same time. Q. I am unable to find a Progress Bar Control. Is it likely that such a control will be added in the future? Great Shawn - thanks for the reply! I didn't notice the move/resize option - I assumed it would work in the same way as the other controls. But that's fine - thanks for that. Anyway, I have another small issue (I hate to mention these because I think this app is "so" useful, and saying anything (even slightly) negative seems a little unfair!) Anyway, sometimes I really have trouble renaming some of the items that I create in the Menu Editor. It would be nice to be able to right-click the items in the Menu Editor and be able to select "Rename, Promote or Demote". The Promotion and Demotion options could allow menu items to be pushed up (or down) occordingly. Much to my discust our Websense "Protection" classes the kixforms.com website are Websense category "Freeware and Software Download" which is barred by OUR internal IT department. They are unwilling to remove this restriction Evil (Enter you own cuss here). Has anyone got this on a site somewhere else that I might be able to get at it? Ask your internal IT folks to set up a bypass for you. We use websense as well, and it is quite easy to allow. I to was questioned why I had so many hits to a "download" site, but once they saw what it was, no big deal. Would using Kixforms.ORG or Kixforms.NET URL make any difference ? Well you could give this a try. At my site that would not work as it is blocked as well. rofl - I bet you if I was on your site I could still find a site to use. If users in China can manage to proxy past their government I think users in USA can easily find a method to bypass you to. No shame for me. Shall I post a list of others for you? Please do, we are always open to more information. It is hard to keep up with. As for finding a site, I am sure it would not be that tough, unless of course I block every possible search engine, that might make it a tad bit harder. But only a tad. lol, what an example of IT-departments gone bad. Makes you wonder how on earth decisions are made sometimes. Well, to be fair Websense is a broad brush. You get a limited number of "categories" which are defined by the company which contain a large number of sites. Disallowing (by default) access to all sites in any of the the "download" categories is a sane and sensible thing to do in a large corporation. However if you convince your line manager that you need access to the sites for business reasons they should be able to get it approved and an exception made in line with your company's policies. I've had some interesting requests - access to on-line wine ordering for corporate entertainment purchasing (blocked by the "tobacco and alcohol" group), access to the UK national lottery site so people could check their lottery tickets(blocked by "gambling") so but the best by far was a request from the staff in our Czech sites who routinely order their underwear online and were blocked by the "lingerie" group rule - now, who am I to deny the ladies their knickers? well, those are on the grey line. and a admin that says that he can't change that, sounds as odd as well. Fed up with the polictics! Wireless card inserted into laptop and downloaded. With the expansion of braodband and wireless + more and more users given laptops, the extremism of IT departments is going to push users into bypassing the tools that are used to protect companies and users both! Some SANE thinking needs to go into policies that restrict to the point that PUSH the users to go round them. Admins beware the coporate machine banning things that are deamed wrong by people that do not understand what jobs we do and how we actualy do them. Most of us are sensible, considerate and know whats wrong! Some protection from the false sites that riderect you somewhere you realy don't want to be is appriciated but there has to be a balance in what is expected from staff. Sorry this has turned into a rant but I think it had to be said. FYI - Shawn, not sure what .NET framework this requires but I'm assuming it's 1.1, with that in mind I just saw this article. ja it does, thanks ... If its broke in .NET, its broke in KF.NET. Good job! This is very very very nice.Thanx for your post! I've learnt so much from your post! 1 registered (Allen) and 49 anonymous users online. Generated in 0.064 seconds in which 0.012 seconds were spent on a total of 13 queries. Zlib compression enabled.